If like me you are starting to see the signs of hooded eyes, it times to start treating them. I am 41 and have noticed a huge change in my eye area in the past two years. It may not look like a huge problem to some, but to me it is noticeable. I also get puffiness and dark circles so basically this product could have been made for me. It is a really cooling light weight serum, that lifts this delicate area whilst also brightening at the same time. Containing Soy and Corn proteins to lift the skin, Yeast Extract to help erase dark circles and Vitamins E and F to protect the delicate skin around this area, it is an easy, yet effective product to use. 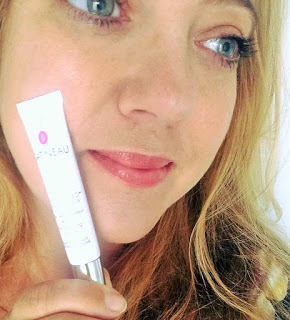 Apply one pump onto your ring finger (and share this out between both eyes), morning and evening, and gently tap into the surrounding skin, eye contour and beneath the brow bone. The cooling sensation helps with the puffiness and over time the eye area appears lifted and brightened. I also enjoy using the Gatineau Integral Regenerating Eye Cream very much so if hydrating that area is more what you need please read HERE. If you are wanting a lifted, plumper looking complexion, then this product is the perfect choice of moisturiser for exactly that. 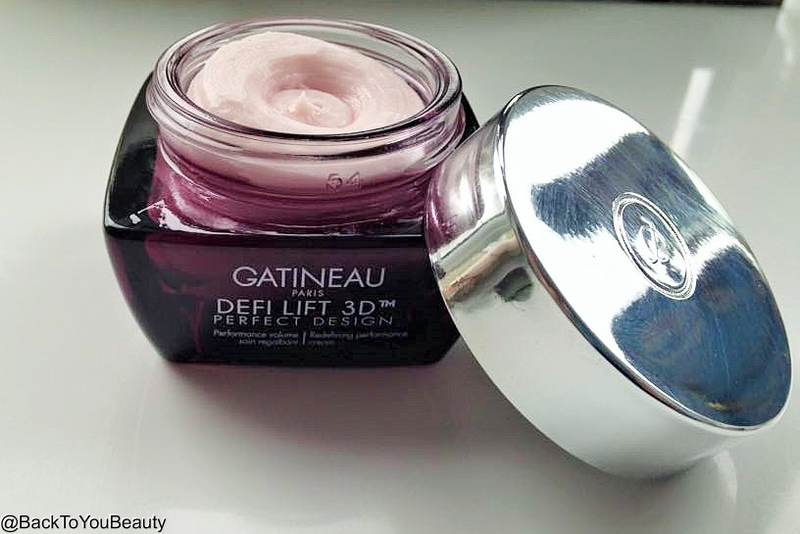 The DefiLift range enhances volume whilst lifting and firming the skin which leads to a more youthful appearance. Full of Corn protein for lifting and firming, Wheat and Soy proteins to boost Collagen and elastin production, Vitamins E and F to protect the skin and Sweet Almond Oil, Mango and Shea butters to nourish and protect the skin, this really is a high performance cream. If you are really concerned with slackening skin or droopy jowels and want a lifted appearance, this would be the choice of moisturiser for you to try. The beautiful pink cream is a joy to use and i absolutely love the feel of this on my skin. The cooling, light, spongy type texture is easily absorbed and leaves my skin looking incredibly healthy. Apply to cleansed skin, after toning and serum morning and evening. I really enjoy using this product and hope you will too. This product is designed to really care for the lip area and the fine lines and wrinkles that you may also have above and around the lips. If you are, or have been a smoker, or just someone that naturally has lines in that area, this lip product infused with Lavender extract and Shea Butter can really help to smooth, soften and hydrate that area. Although this is perfect on chapped, dry lips, please don’t just think of it as “an expensive lip balm” because it is a lip treatment that continues to work deep into the skin long after it has been applied. Leaves a lovely glossy sheen on the lips that makes them appear plumper and can be applied under or over lipstick as many times as needed. I love the plumping look that this gives to my lips . With ingredient’s including Encapsulated hyaluronic Acid to stimulate and plump sells, Lavender extract to smooth, strengthen and soothe and Shea butter to nourish and soften this is a product you will reach for time and again. I have so many of these and very quickly became addicted! Very handy handbag/pocket friendly size too. This was a brand new product for me and one I was excited to try. As you may know I love a great exfoliator. There is nothing worse than the thought of leaving dead skin cells on my face as this just leaves skin looking grey and lifeless but also means any products applied on top cannot work to their ability. Sloughing away these dead skin cells really awakens the skin, takes away all those impurities and leads to a brighter, healthier looking complexion, which we all want right? This product is perfect for all skin types including sensitive skin and uses a mild enzymatic formula to remove the dead cells. You will not feel any particles, or grains scrubbing against the skin it is so gentle it feels gorgeous, looks gorgeous and smells OMG AMAZING!! I literally salivate when I use this product hahaha. it has a real zesty, citrus-y uplifting scent that makes this an absolute joy to use. This product should ideally be used twice a week. Massage the beautiful sparkly, illuminating gel gently over the face including crows feet around the eyes, on DRY skin. Leave it to sit for a minute or two and you will see that it has changed to a beautiful liquid. Rinse off with warm water and glowing skin should be glaring back at you!! This is my hero product of the collection!! If this was a skin illuminator or primer it would be beautiful hahaha. A great tip – if after a period of ill health, stress, tiredness etc, apply a layer all over the face and neck and rest for ten minutes then wipe away, for a more intensive treatment. Included in the collection is a pretty bag that is big enough to contain all these product and some. Would make a great make up bag. My Overall Thoughts – There is so much choice out there with skincare and I do feature a lot of it on my Blog. Why choose this collection over another? Well, if premium skincare and ingredient’s are your thing, then Gatineau has an amazing legacy and certainly delivers. If you are really struggling with slackened skin, baggy skin, skin that is not looking as bright and lifted as it once was then this collection promises to deliver. My skin always looks and feels amazing after a course of Gatineau so I can recommend this personally. Gatineau can be purchased online direct from the Gatineau website HERE and in store and online from Marks and Spencer HERE. However this collection is exclusive to QVCUK and has been put together as a TSV ( Todays special value) this means that on Monday 20th June for 24 hours or whilst stocks last, this collection will be available at an incredibly low price. I will add the link to purchase as soon as it become available. You can purchase items individually by clicking on them above. Have you tried Gatineau before? What are your favourite products? Leave me a comment below! "Fancy learning more about me and Nominating my blog for an award?"